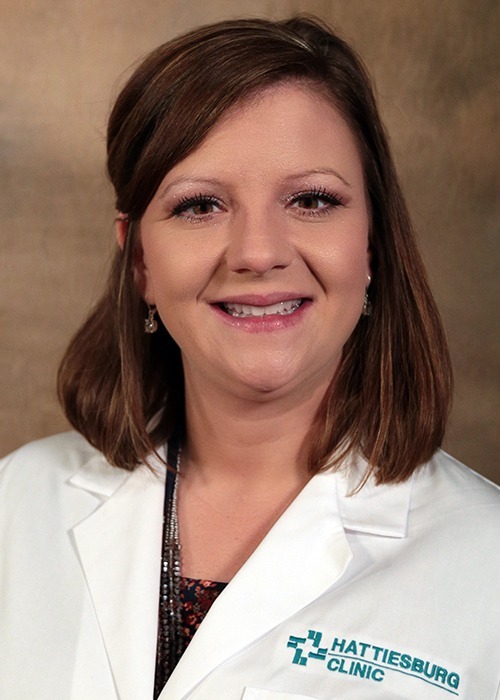 Bridgette E. Runnels, CNP, is a certified nurse practitioner with Hattiesburg Clinic, where she provides services at Pain Management Health Center and Physical Medicine & Rehabilitation. Runnels received a Bachelor of Science in Nursing from the University of Southern Mississippi in Hattiesburg, Miss., and a Master of Science in Nursing from the University of Alabama at Birmingham in Birmingham, Ala.
She is board certified as a family nurse practitioner by the American Academy of Nurse Practitioners. Her professional memberships include the American Academy of Nurse Practitioners and the Sigma Theta Tau International Honor Society of Nursing. Runnels began her nursing career in 2009 and has since strived to provide compassionate care to patients across multiple specialties, from women’s health to clinical research to therapeutic care. At Pain Management Health Center and Physical Medicine & Rehabilitation, Runnels works with patients who require specialized treatment for the management of chronic pain and evaluates patients with spine and musculoskeletal conditions for treatment options.